SCOTUS must protect our census as a means to strengthen our democracy. The census is anopportunity for civic engagement available to every person, one of the greatest ways to show ourcivic pride in this country. 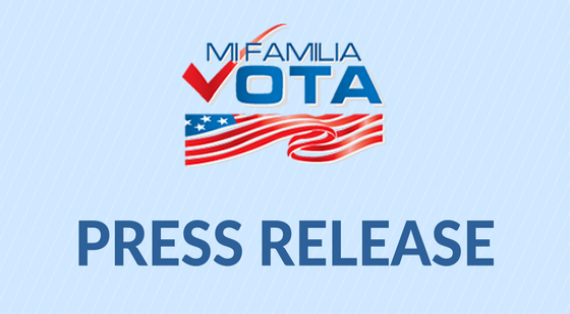 Mi Familia Vota will work to ensure that all people, includingimmigrant populations, are represented in this count. On Earth Day, Mi Familia Vota (MFV) will be engaging the Latino community in efforts to promote environmental activism and combat climate change. Each of the six states where MFV has ground operations has a unique set of environmental challenges impacting the health and well-being of Latino communities. Mi Familia Vota will participate in the Power of Your Vote, a bilingual townhall, organized by NPR’s 1A, Houston Public Media, and the Corporation for Public Broadcasting, focused on Latinos and the 2020 election. On Monday, April 15, 2019, from 8 AM- 9 AM at the Nevada State Legislature, a Las Vegas bus will be in Carson City with over 50 community leaders, immigrants and refugees, and activists to lobby their elected officials regarding immigrant and refugee integration. District Judge George Hazel’s ruling is a step towards ensuring a fair and inclusive count that will be used to determine our funding and political representation. As the Supreme Court prepares to review the citizenship question, we will continue our work to spur Congress to block the citizenship question from being added. It’s in our best interest to ensure that Latinos are embraced and supported in the count process of the 2020 Census. The American people were vindicated by Congress today after the Senate joined the House and voted to overturn Trump’s national emergency declaration. With protection from deportation, our undocumented youth and vulnerable immigrant groups have the chance to stay with their families and continue to work for their dreams, which builds and strengthens our nation. Mi Familia Vota will participate in the 13th annual Latino Advocacy Day (LAD), a convening of over 300 policy advocates at the Colorado capitol. We commend Harris County Clerk Trautman for leading this process and making the Countywide Polling Place Program available within two months of her taking office. This is an important step to strengthening our democracy in Harris County and we will be working to ensure that the right to vote is facilitated for all Texans. Our country needs an EPA administrator who will fulfil the mission of the EPA- Andrew Wheeler has already demonstrated that he will prioritize industry and short term profits over our wellbeing and long-term, environmentally sustainable economic opportunities, while putting at risk our health and the health of our families. The ruling made clear that immigrant U.S. citizens were “unfairly burdened” by Secretary Whitley and that his discriminatory actions created a mess that jeopardizes the integrity of our election process. Secretary Whitley’s claim that tens of thousands of voters were “illegal voters” was an attack on immigrants and Latinos, which was gleefully endorsed by Texas Attorney General Ken Paxton and President Trump at the expense of our community.